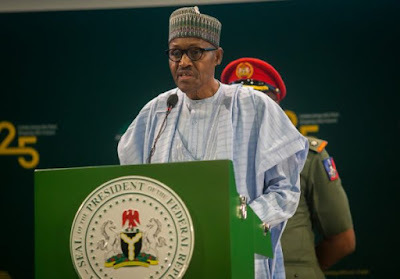 President Muhammadu Buhari will never be part of any unconstitutional act, the Presidency said today, in a blistering reaction to attempts by some political actors to link him with the unfolding political drama in Benue state. On Monday, eight members of the Benue Assembly threatened to begin an impeachment proceedings against Governor Samuel Ortom, who last week committed political apostasy by switching allegiance from the All Progressives Congress to the Peoples Democratic Party, along with 22 members of the state legislature. As the drama of defection played out, the speaker Terkimbir Ikyange was impeached and later suspended. A pro-tempore speaker was elected. The deposed speaker on Monday announced the beginning of an impeachment proceeding against Ortom. In a scathing statement, Aso Rock distanced Buhari from the whole drama. “President Buhari will never be part of any unconstitutional act, and any attempt to link him with the inglorious past, when minority number of lawmakers impeached governors, will not stick”, said media adviser Femi Adesina. “It will simply be like water off the duck’s back. Those with open minds know this, but those who cavil would rather source everything untoward to the President. It is murky ground in which they are now marooned, as fallout of their resistance to change in the country”. Political pundits said Aso Rock may be reacting to a joint statement by Senate President Bukola Saraki and Speaker Yakubu Dogara, both of whom are on the way to joining Ortom in his political apostasy by quitting the All Progressives Congress for the PDP. The duo decried police blockade of the State House of Assembly and called on President Buhari to call the police to order. The two legislators said: “The situation in Benue State House of Assembly has grave implication for the nation’s democracy and it represents a throw-back to the period of dictatorship in our country. It also represents how the Nigeria Police are being misused to achieve political end. In a statement recently, the Presidency derisively referred to an era in the past where a minority number of legislators was used to impeach Governors who were unfriendly with the Federal Government. What we are seeing in Benue now is a return to that inglorious era. “When it suits them, they preach separation of powers and true federalism, and in another breath, they call on the President to interfere brazenly in affairs at state level. Adesina described the reactions as paranoia, especially with attempts to weave President Buhari into it. Even while attending the ECOWAS/ECCAS Summit in Togo, strident attempts were being made to drag President Muhammadu Buhari into the unfolding drama between the executive and the legislature in Benue State. Statements have been issued by different interest groups, insinuating that the President may have a hand in the development in Benue. This is paranoia at its worst, coming from people who have wittingly positioned themselves against the clean-up of the country, and the way we do things. They prefer business as usual. President Buhari will never be part of any unconstitutional act, and any attempt to link him with the inglorious past, when minority number of lawmakers impeached governors, will not stick. It will simply be like water off the duck’s back. Those with open minds know this, but those who cavil would rather source everything untoward to the President. It is murky ground in which they are now marooned, as fallout of their resistance to change in the country. When it suits them, they preach separation of powers and true federalism, and in another breath, they call on the President to interfere brazenly in affairs at state level. President Buhari will always stand by all that is noble and fair, and will reject attempts to drag him into infamy. People who stoke fires by deliberate acts of omission or commission, and then summon the President to come and put it out will find that this President will be guided by the Constitution at all times, no matter the attempt to entangle him in unwarranted controversies. Copyright (c) 2013 HRL News. Design by Potech Ltd.